The 68 paragliders including nearly 20 foreigners bid farewell to Wagamon on Sunday hoping for another international paragliding championship in 2010 even as Wagamon witnessed the heaviest turnout of visitors never seen before in this hilly tourism spot. 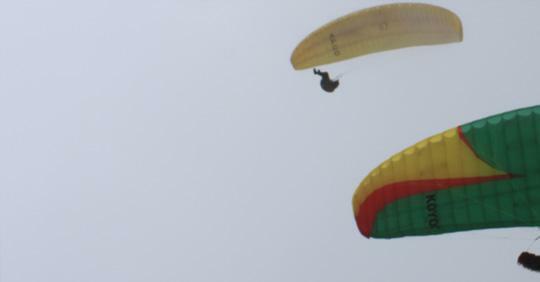 By Monday all the foreign paragliders would have left the country, said the organisers of the championship. Kerala Paragliding Grand Prix ’09, an international paragliding championship, got off to a colourful start here on Friday with pilots performing their skills in the air in front of thousands of visitors who reached the grassland at Suicide Point here. The main attraction of this year’s championship is the arrival of two paragliders, Mike and Shane, from New Zealand. They had been here for the past two days for trials. David Arufat, Bruce Mills and Brad Sander, among the top 10 world-record-holders, are also participating in the championship to be held in two main categories — cross country and spot landing. In the cross-country category, paragliders will move a small distance in the air and return to the place from where they had taken off. In the spot-landing category, the paragliders have to reach a particular spot on the Murphy school ground at Enthayar, 5 km from the starting point. The championship, in which 68 pilots, including two women, are participating, began by noon soon after its inauguration with sunny weather and favourable wind supporting the paragliders. However, after 20 minutes, fog surrounded the entire area and the pilots had to return and take a break, waiting for the weather to change. The organisers hope that on Saturday, favourable weather, a prerequisite for paragliding, will make the championship, into its fourth edition, a complete success. Wagamon lies nearly 6,000 ft above sea level and the weather is known to be fickle. The main feature of this year’s championship is a chance for the public to fly tandem with the pilots (the pilot taking one more person along with him). A paraglider has to go through different stages after being initiated as a pilot. 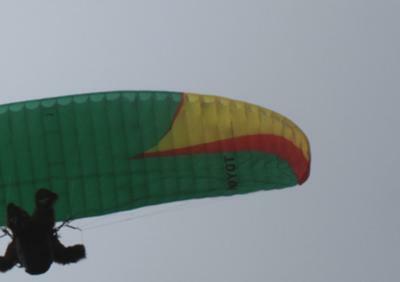 Since paragliding as a competitive sports item got recognition in the country only recently, it was the foreigners who had made records in paragliding. However, this year’s championship has the participation of 18 Indian Army pilots and eight pilots from the Temple Pilot Club, a premier paragliding club in the country. 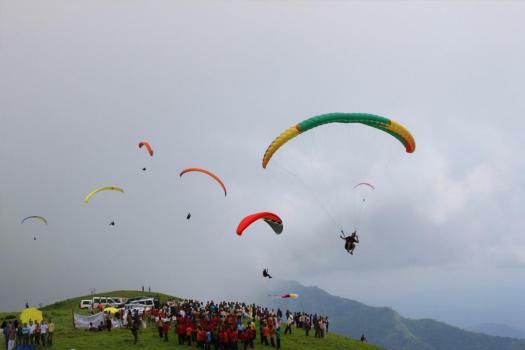 “Since the identification of Wagamon as ideal for paragliding, there has been a steady growth in the number of paragliding pilots and visitors to each event,” District Tourism Promotion Council (DTPC) secretary M. Rajesh told The Hindu. The council’s Wagamon Destination Council, in association with Adventure Sports and Sustainable Tourism Academy and the Tourism Department, is organising the Grand Prix. 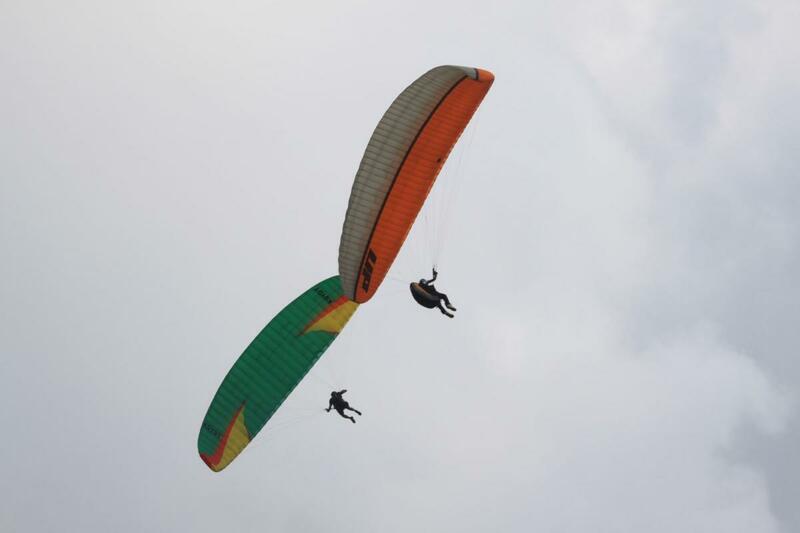 Gopakumar Varma, who had identified Wagamon and held paragliding championship here in the past, said his aim was to make adventure sports a tool to promote tourism. He, along with his wife, Parvathy Menon, and daughter, Aswathy, is providing ground support to the pilots. Visitorsare arriving here to witness the event.